This lecture is also available in one big HTML file. Alice's Adventures In Wonderland - A Partial Recap - Cont. 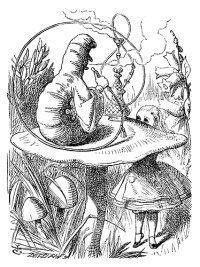 Original Alice Stands to Trial - ERR_SUCCESS or ERR_IO? Through The Looking Glass - A Partial Recap - Cont. What if Bob was sync(ing) harder? boB - the reader from the "raw"
The "CFQ" elevator - "no room! no room! (at the tea party)"
The "deadline" elevator - "I'm late! I'm late! I'm late!" The "anticipatory" elevator - "If you build it - they will come"